Dedicated professionals at Meadowlark Hospice understand the needs involved in caring for a loved one with a life limiting illness. Since 1985, they have been providing comprehensive hospice care for patients and their families in the communities they serve. Those communities include Clay, Cloud, Marshall, Republic, Washington, and Western Riley counties. Staff members are specially trained in pain and symptom control- bringing compassionate physical, emotional, and social care to a person’s life as sensitively, humanely and honestly as possible. A skilled team of local professionals including Physicians, Registered Nurses, Social Workers, Chaplain, Home Health Aides and Volunteers are committed to providing the highest level of quality care whether in a patient’s home or home like setting, such as an assisted living facility or nursing home. Our Mission: is to provide loving, compassionate care for those living with a life limiting illness. Hospice is often thought of when someone discovers they have terminal cancer. However, many severe chronic illnesses qualify for Hospice services. Medicare, Medicaid and some private insurances have a Hospice Benefit that will help pay for Hospice care needs related to a terminal diagnosis and related conditions. 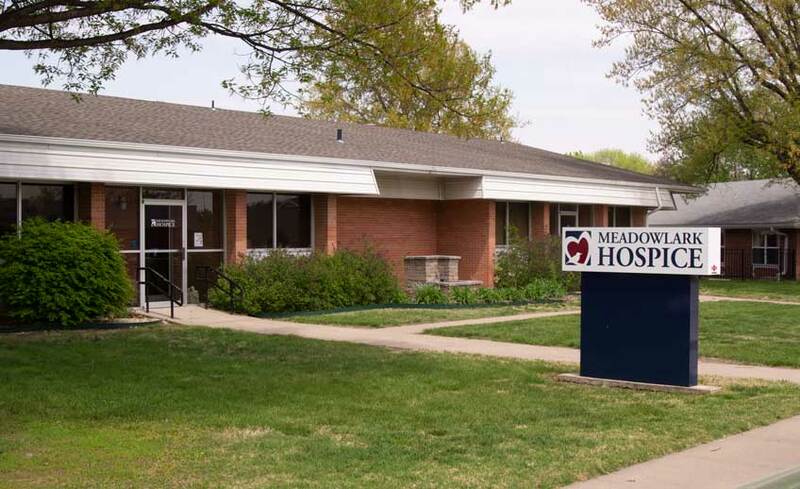 Meadowlark Hospice uses donations to offset expenses not covered by insurance and to provide services to those who are unable to pay.